Defeated in the battle of Fredericksburg, Virginia, the Union soldiers retreated across the river. There, a new battle emerged as both armies volleyed competing songs back and forth. With the Christmas season upon them, however, Federals and Confederates longed for the same thing. As the notes of "Home, Sweet Home" rose up from both sides, they found common ground for one night. Interwoven with soldiers' letters and journal entries, this is a true story of duty and heartbreak, of loyalty and enemies, and of the uniting power of music. 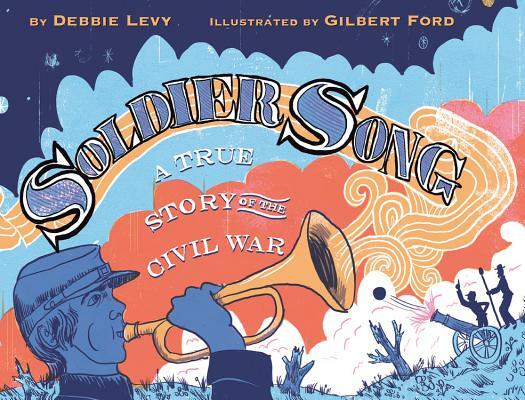 Debbie Levy's moving text and Gilbert Ford's vibrant, layered illustrations come together to create an unforgettable tale of American history. Debbie Levy is the award-winning author of nonfiction and fiction books for young people, including New York Times best-selling I Dissent: Ruth Bader Ginsburg Makes Her Mark, winner of the 2017 Sydney Taylor Book Award and 2016 National Jewish Book Award; and We Shall Overcome: The Story of a Song, a 2014 Jane Addams Award Honor Book and Bank Street College Best Book. She also wrote The Year of Goodbyes, a 2010 Sydney Taylor Honor Book and Kirkus Reviews Best Book. Debbie is a former lawyer and newspaper editor, and lives in Maryland with her husband. They have two grown sons. www.debbielevybooks.com. Gilbert Ford has lived half his life in The South and half his life in The North. He has illustrated covers for many books for young readers, such as Three Times Lucky and Mr. Lemoncello's Library, and is the illustrator for The Secret Series by Pseudonymous Bosch, as well as a number of picture books, including the award-winning Mr. Ferris and His Wheel. Gilbert currently lives and works in Brooklyn, NY. Visit him online at gilbertford.com.